Can Belgium solve the problems of the Brussels district dubbed Jihadi Central? Tim Whewell spends time with the people of Molenbeek as they search for answers. 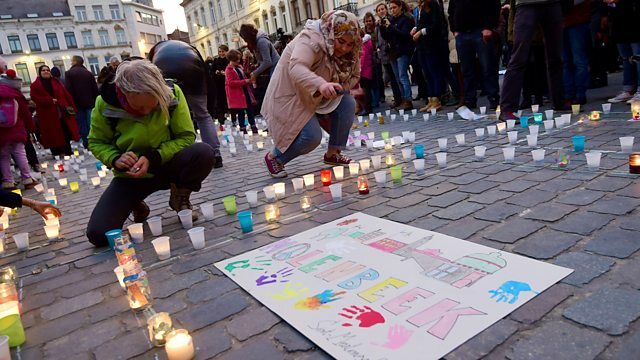 After the terror attacks in Paris, the world's attention turned to an inner-city district of the Belgian capital, Brussels, where several of the attackers came from. Molenbeek has been notorious for many years as a breeding-ground for Islamist extremism - and the Belgian government vowed to "clean it up". But do the authorities really have any plan to prevent the radicalisation of young Belgians? Tim Whewell has been travelling back and forth to Brussels since the Paris attacks to talk to local people as they hold up a mirror to themselves and search for explanations - and attempt to have a dialogue with a sometimes dysfunctional state. What’s the difference between Belgian and British policing?